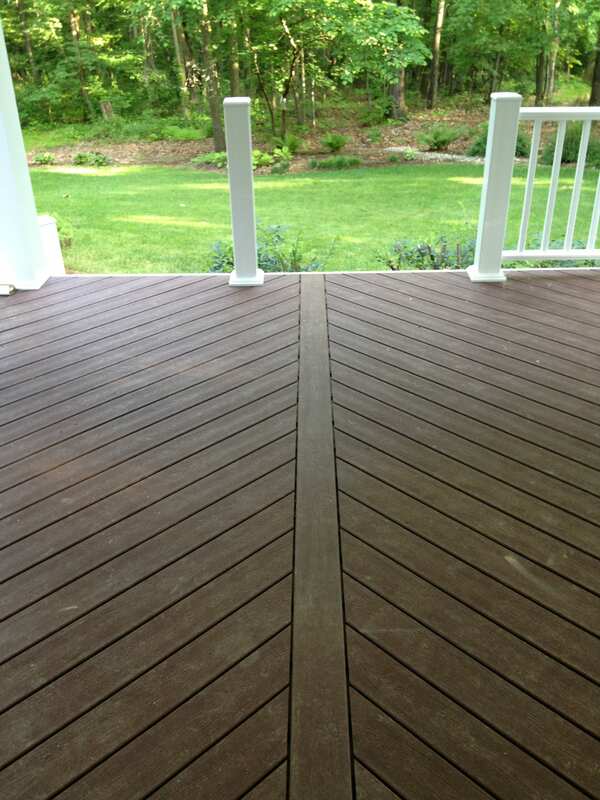 This spectacular composite deck started with the removal of the old treated deck. 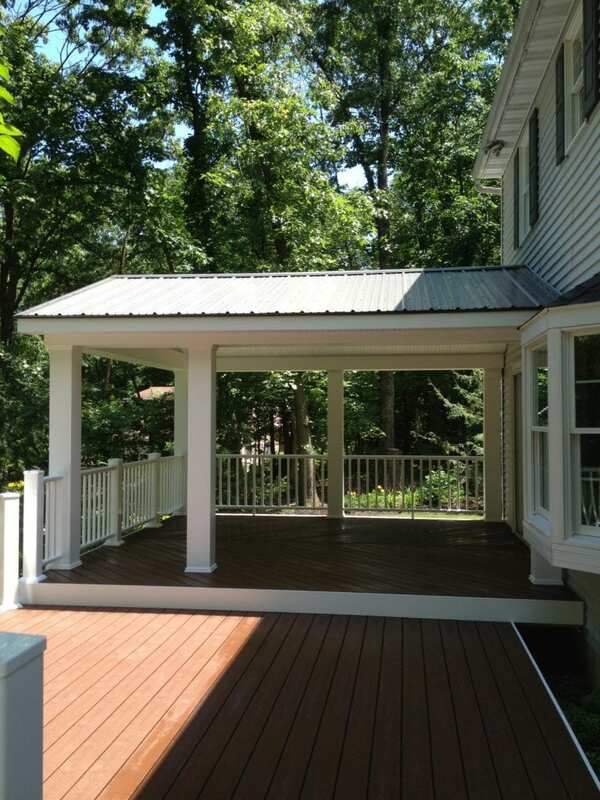 Once the old deck was removed, concrete footers were poured and the new frame for the deck was built. The roof was then added and fitted with a metal roof. 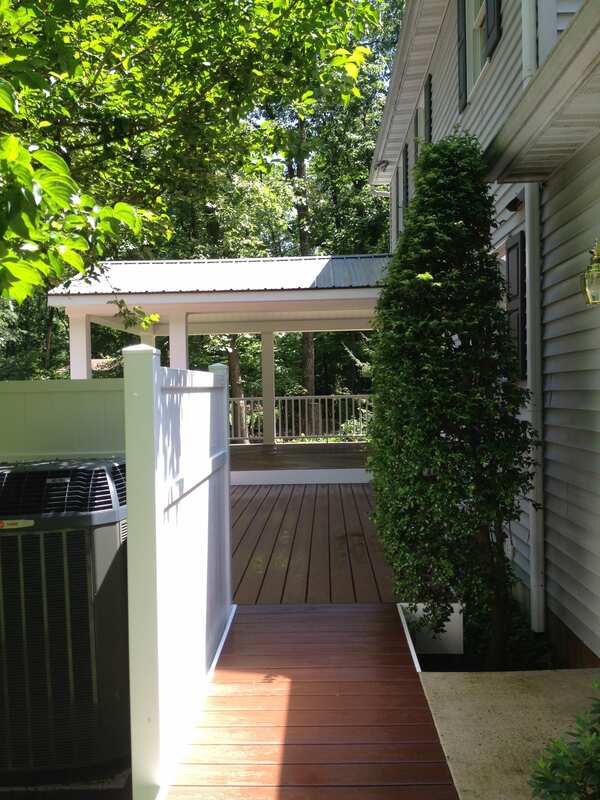 Trex Transcend Fire Pit decking was installed with a hidden fastener system. The decking under the roof received a stunning herringbone pattern. 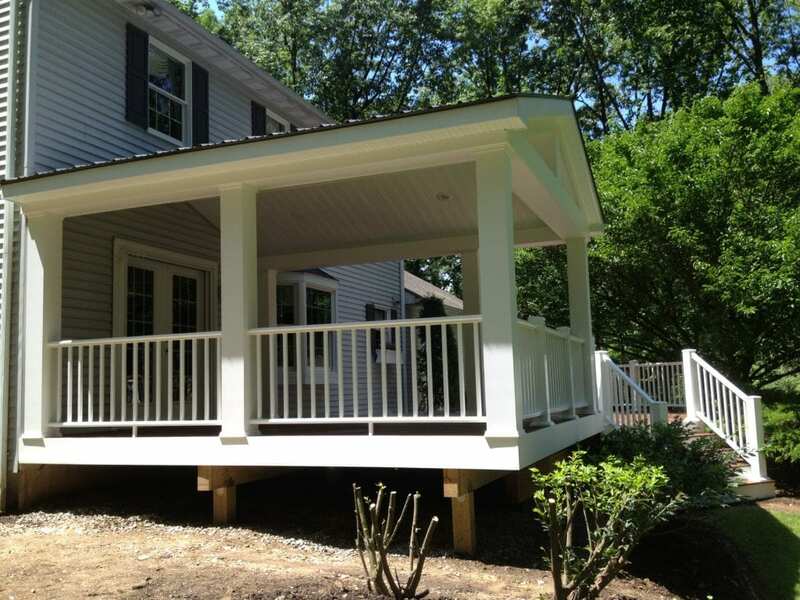 Azek Composite deck railing kits and posts were used. 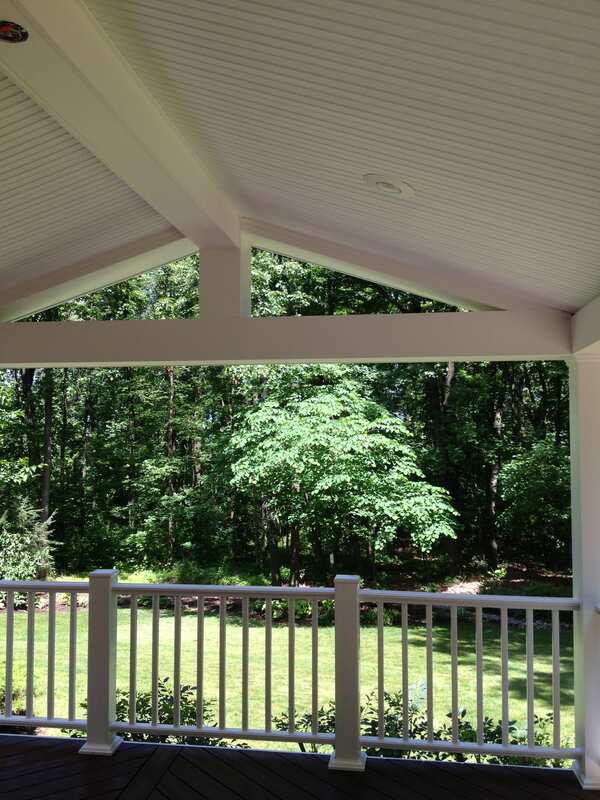 The huge 8”x 8” posts and beams were all trimmed out using Azek PVC trim. The cathedral ceiling was finished using beaded soffit and an added dropped beam. 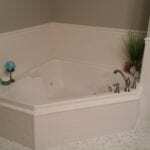 Four recessed lights were added, along with a ceiling fan. 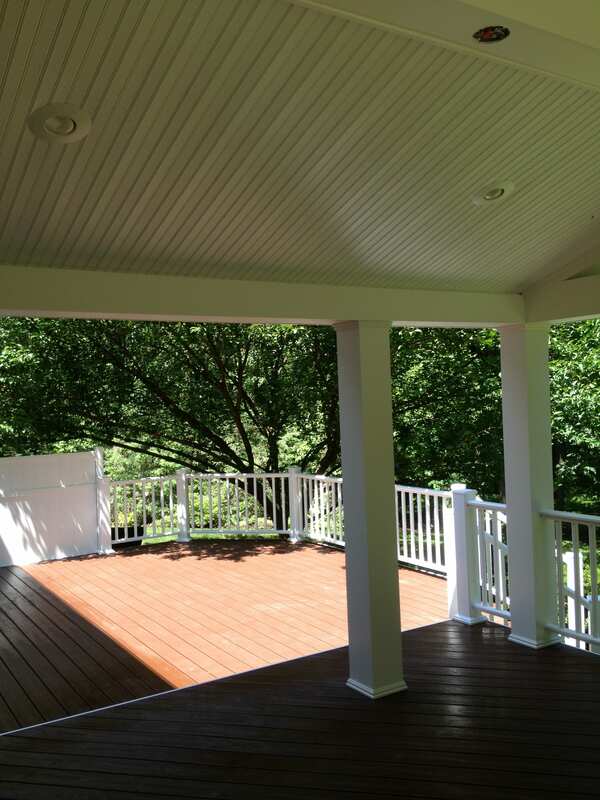 Custom built Spanish cedar painted gray lattice helped seclude the area, creating a personal outdoor relaxation space. 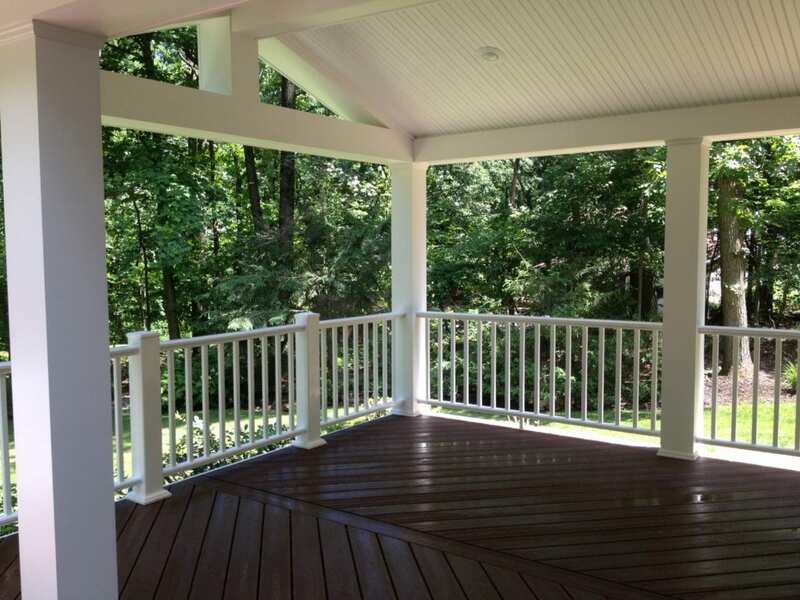 This stunning deck will last a lifetime, not requiring maintenance, and is truly one of a kind.